It was a mighty struggle, but the wombats have a habitat. 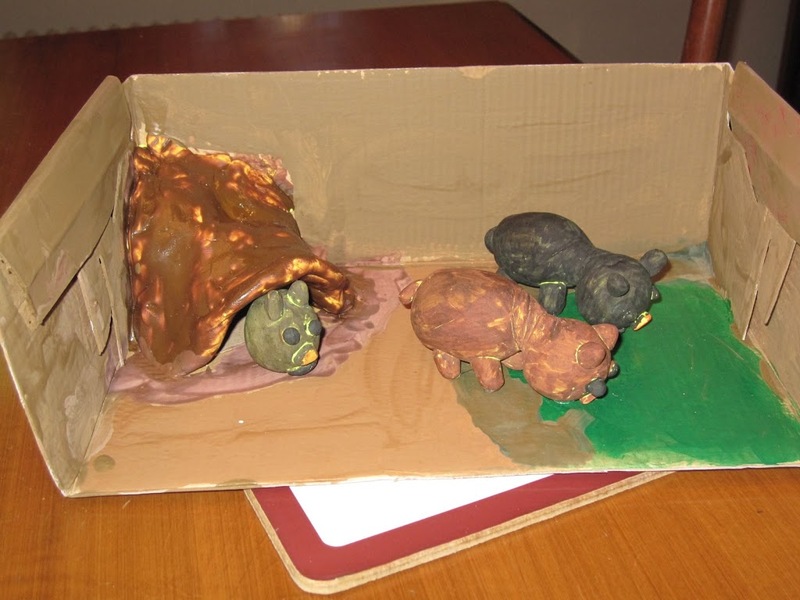 Thanks to some paint, a shoebox and a lot of clay (and a stray toothpick or two to hold up the ears), three little Australian wombats have a home for Chloe’s science fair. It took a long time – and I pretty much stayed out of it. Poor Papa had to deal with the tantrums (and there were a couple over the course of the weekend). I got to sit back and enjoy the finished product. Nevertheless, I think we’re all really glad that this is the last project of the year. Time to wind down – it’s June for crying out loud!